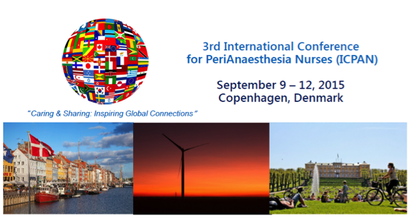 The 2015 conference, was hosted by the Danish Association of Anesthesia, Intensive Care and Recovery Nurses in Copenhagen, Denmark. This year’s conference theme was “Caring & Sharing : Inspiring Global Connections”. Over 400 international nurses from 20 countries participated. The conference concluded with the inaugural ICPAN, Inc, Biennial General Meeting and installation of the transitional Board of Directors.